New Orleans Finding myself in New Orleans, I accompanied my companera to the Honor Awards night of the district council of the American Legion. 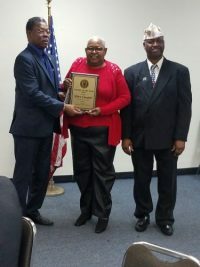 Debra Campbell, a key leader in ACORN’s affiliate, A Community Voice, and co-chair of the Upper 9th Ward chapter, was receiving their award as Citizen of the Year. The crowd was small, but the tradition was large. A chair was set out for POW/MIAs. There was prayer at opening and closing. The pledge of allegiance saw hats off and hands on heart. Debra was magnificent, as was Rev. Richard Bell, the Legion’s adjutant, and co-chair of ACV’s Lower 9th Ward group. There was a lot of talk about leadership, which I found interesting, even if not surprising. Some of the concerns about leadership are implicit critiques of President Trump. The New York Times editorial focused on the way General Martin Dempsey, the head of the Joint Chiefs of Staff under President Obama, seemed to be tweeting leadership tips in the hopes that they might influence the President. Good luck with that, eh? I have been paying more attention to these comments and examples, while preparing for the leadership training sessions in Milwaukee with newly elected officers of Amani United. The military does leadership-talk constantly, but that might not be a recommendation for source material, despite their experience. To some degree leadership is out of vogue. There’s a lot of talk out there these days about flat-leadership systems or even leaderless formations. For example, the French government has been pulling its hair about how to negotiate with the Yellow Jackets who are militantly refusing to identify a leadership structure for their movement. The media worked hard to anoint leaders for #BlackLivesMatter, the Women’s March, and even Occupy with various levels of success. Some seized the mantle and others ran from it. I stumbled onto a book, How Change Happens: Why Some Social Movements Succeed While Others Don’t by Leslie Crutchfield based on work by a center that looks at these issues at Georgetown University. Part of their argument was impossible to swallow, like their habit of equating the achievement of some major social changes with their definition of what were social movements, or their view that when corporations were forced to adapt to pressure and larger social changes and watershed events that made business in fact leaders. Nonetheless, there were some interesting quotes about leadership, regardless of the context, that I thought would be useful in the training sessions. Crutchfield also argued that success for social movements was greater when they were more focused on the grassroots up, than the other way around which was spot on. 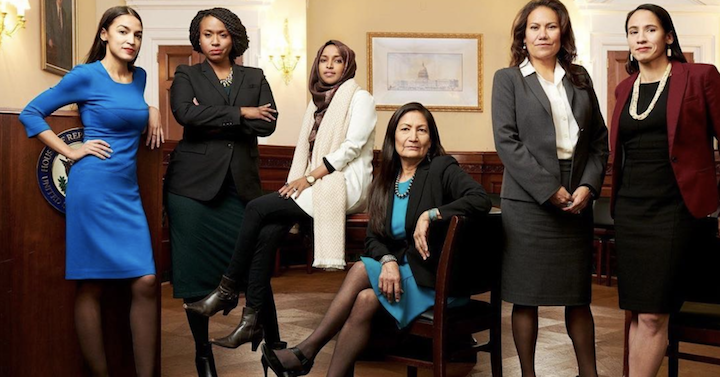 Another direct hit was the need for organization’s and movements to be something called “leaderfull.” It’s an awkward term that gets sort of stuck in the throat as it comes out, but the bottom line is indisputable. An organization with more leaders at all levels with the ability – and coordinated autonomy, as I’ve always called it – to operate actively and powerfully has the best chance of success. Leaders matter. It’s worth the work to spend as much time as we can to help them develop to their full potential, just as we see with Debra Campbell and Richard Bell. A lot to learn and a lot to teach.